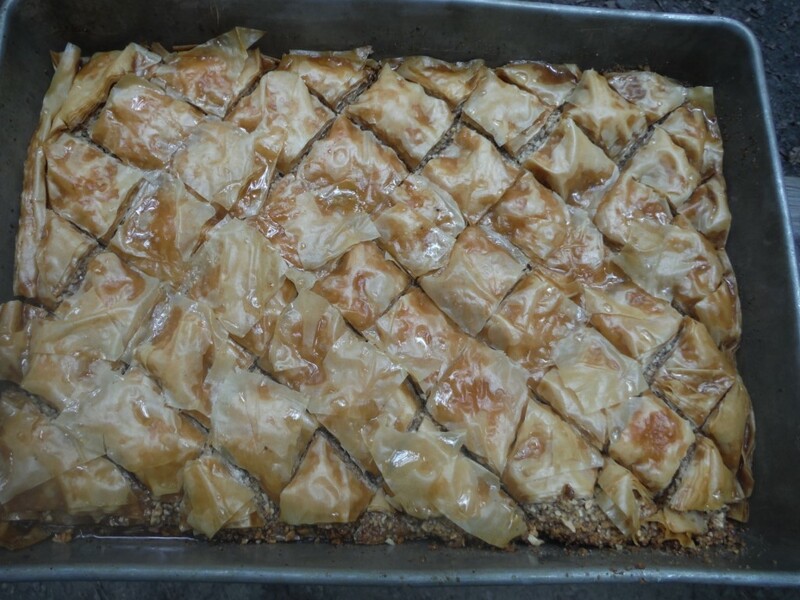 This version, was taken from Bernard Clayton, Jr.’s The Complete Book of Pastry, Sweet and Savory and was invented by a neighbor of the author as a time-saving way to make lots of trays of baklava at one time. 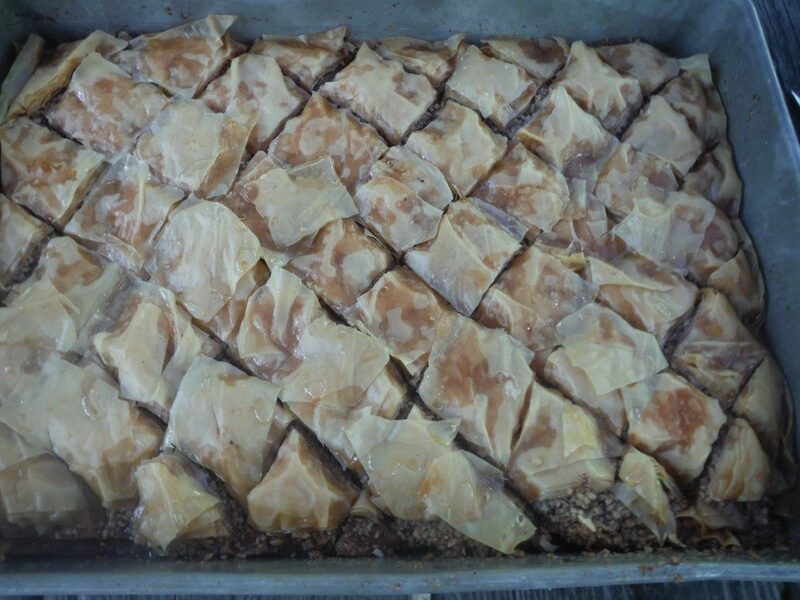 The key idea was that rather than laboriously spreading butter on many layers of phyllo, the baklava could be assembled dry (i.e. with no fat), scored, and then the fat added in the form of oil poured into the cuts in the phyllo. I can now testify that this works as promised. My only question for the next time is whether it is possible to slightly warm ghee (i.e. butterfat) to a liquid consistency and to poor it instead of vegetable oil. Assembling the baklava dry, and then adding the oil, made this a lot easier to do in camp, where clean space is hard to get. I used Athens brand phyllo, which had about 40 sheets which were 9 x 14 inches, and I baked in a 9 x 13 inch jelly roll pan. Sometimes phyllo is in other sizes (such as 11 x 17) in which case it will need to be cut or folded. Here is what the unbaked pastry looks like after the oil has been poured on it. 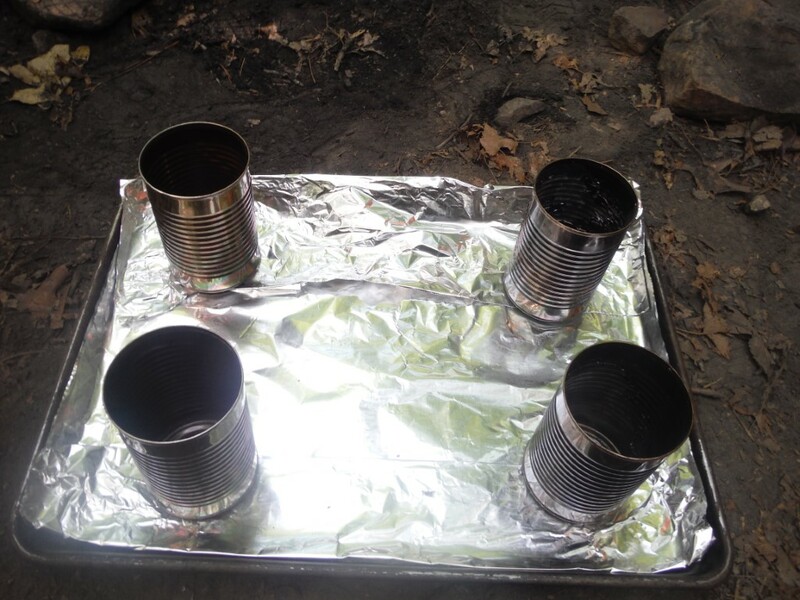 and a metal grid on top of the cans as a platform for the pan. 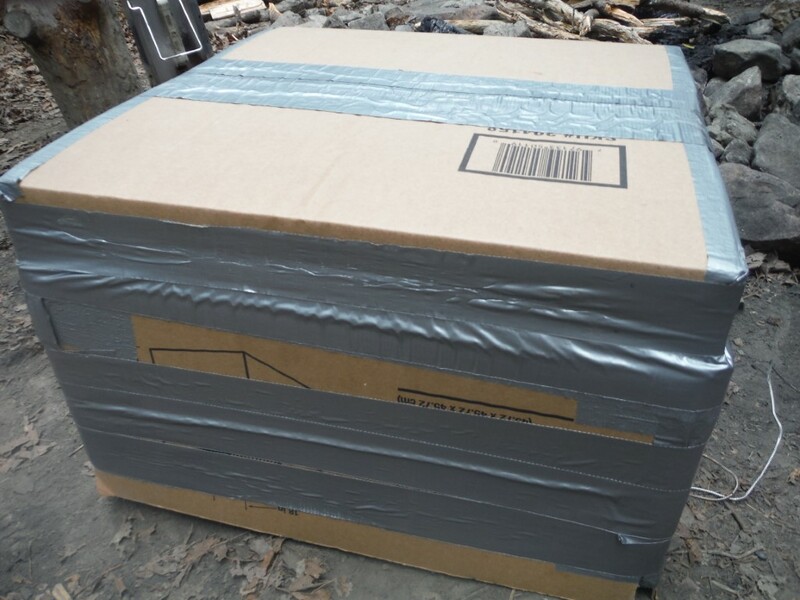 I brought an oven thermometer, and added and removed coals to maintain the temperature inside the cardboard box at around 325 degrees. (I started with about 20 lit coals). When the pastry is done, remove it from the oven and slowly pour 2/3 of the syrup in the cuts of the pastry. Wait about an hour for the first batch to fully soak in, and then slowly pour the remaining 1/3 of the syrup into the cracks. Allow to rest at cool room temperature at least another hour for the second batch of syrup to soak in. After that the baklava can be served, although Bernard Clayton states that it is even better if allowed to rest and meld overnight.